More surprises and treats for your holiday cravings! 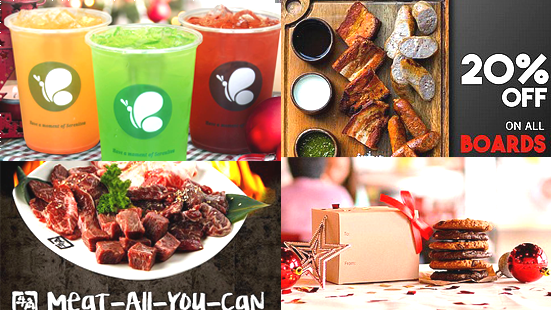 (SPOT.ph) In case sweet surprises and discounts on your favorite food are in your holiday wishlist, then consider them granted. 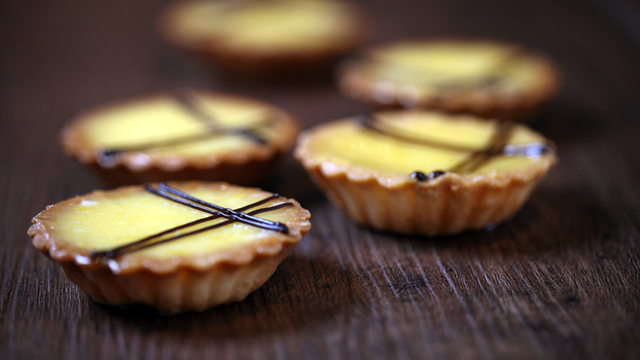 This week, we've rounded up promos on sandwiches, pizzas, desserts, and more. We've also got awesome offers on drinks that are sure to get you in a merry spirit of celebration! Lunch is served at a discounted price at ArroZeria. 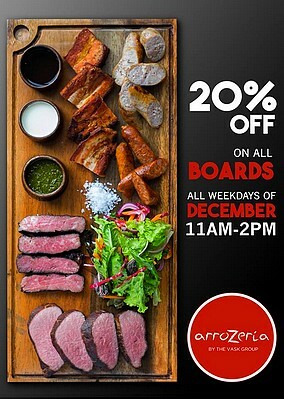 Get 20% off on all boards for all the weekdays of December. Promo is valid from 11 a.m. to 2 p.m. only. ArroZeria is at U/G C3 Building, Bonifacio High Street Central, 7th Avenue, Bonifacio Global City; and 4/F Century City Mall, Kalayaan Avenue, Makati City. For more information, log on to ArroZeria's Facebook page. The Christmas season has never been this hot at Costa Coffee! 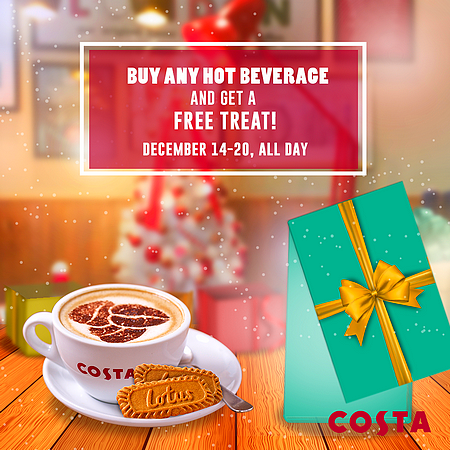 Buy any hot beverage and get a free treat! Offer is available all day from December 14 to 20. See double (sandwich, that is) every Tuesday at Cheese Steak Shop Manila. 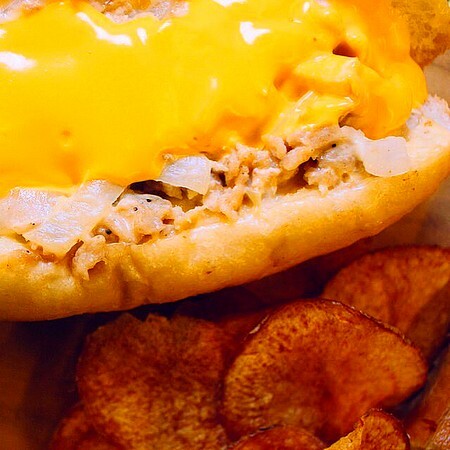 Buy any size of the Cheesesteak Sandwich and a get second sandwich for free! Buy fries and a drink, and they'll be doubled, too! Promo is valid for dine-in or take-out orders from 11 a.m. to 8:30 p.m., exclusively at the Amorsolo branch. Cheese Steak Shop Manila is at 140 Amorsolo Street, Legazpi Village, Makati City. For more information, log on to Cheese Steak Shop Manila's Facebook page. 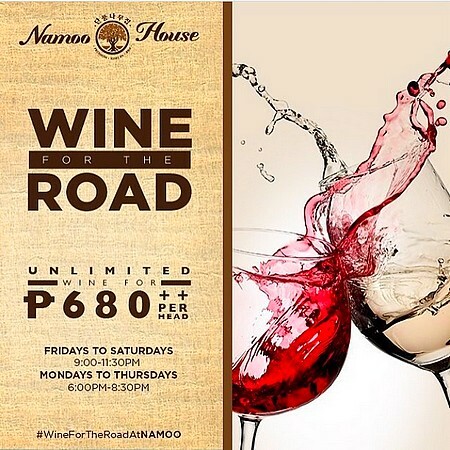 Unwind and enjoy fine French wine every week with Namoo House's unlimited wine promo for only P680 per head. Offer is available from 6 p.m. to 8:30 p.m. on weekdays (Monday to Thursday) and 6 p.m. to 11:30 p.m. on weekends (Friday and Saturday). It can be extended for another 30 minutes upon request. Namoo House is at 38th Street corner 9th Avenue, Uptown Parade, Uptown Bonifacio. For more information, log on to Namoo House's Facebook page. Say hello to a new branch of Domino's with a discount! Enjoy 30% off on all pizzas from December 5 to 27. Time to round up the gang! 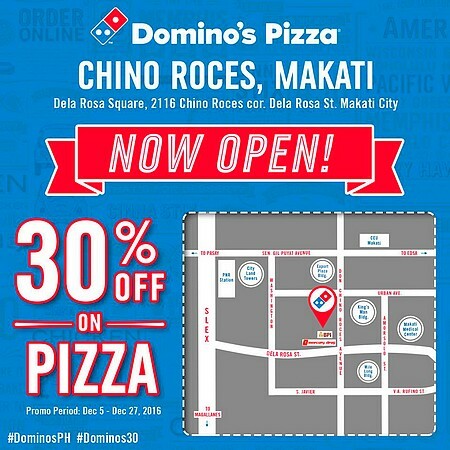 Domino's Pizza is at Dela Rosa Square, 2116 Chino Roces corner Dela Rosa Street, Makati City. For more information, log on to Domino's Pizza's Facebook page. 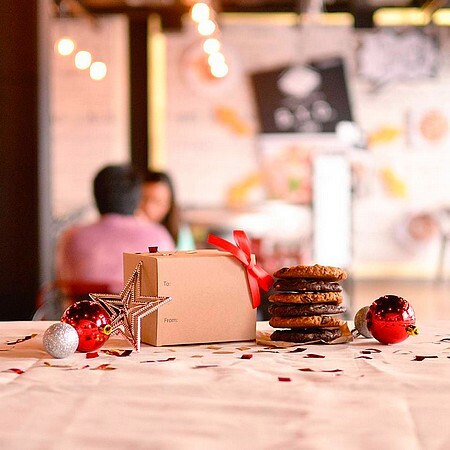 Buy a box of six cookies for only P200 at Project Pie and receive a sweet surprise! Offer is valid until December 31. See a list of Project Pie branches. For more information, log on to Project Pie's Facebook page. Fire up your appetites because it's the season for grilling! 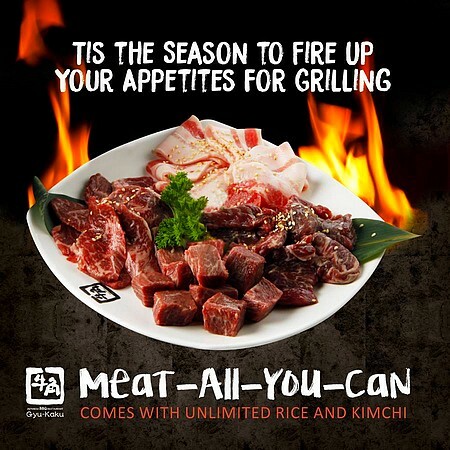 Enjoy Gyu-Kaku's selection of premium meats with unlimited rice and kimchi for only P1,750! Offer is valid until December 31 from Monday to Friday at the Shangri-La branch. 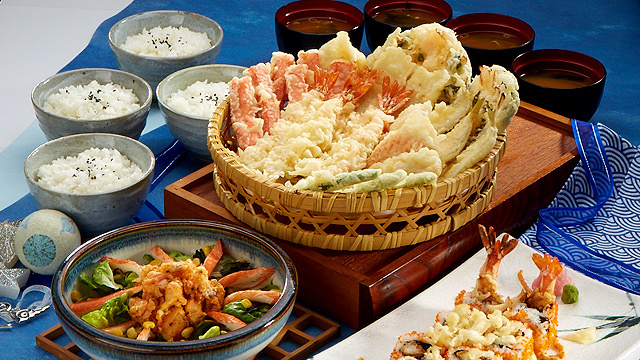 Gyu-Kaku is at 2/F East Wing, Shangri-La Mall, EDSA corner Shaw Boulevard, Ortigas Center, Mandaluyong City. For more information, log on to Gyu-Kaku's Facebook page. 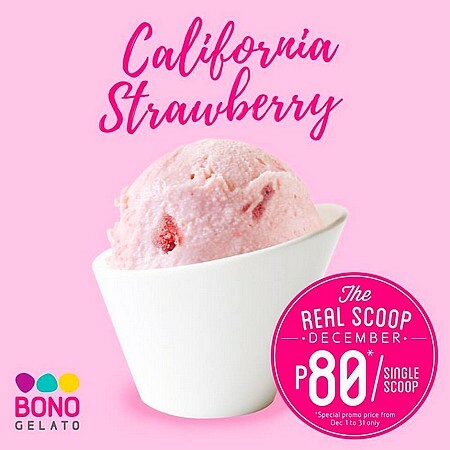 Get the real scoop at BONO Gelato this December! Treat your taste buds to a serving of California Strawberry for just P80. Promo is until December 31 only. 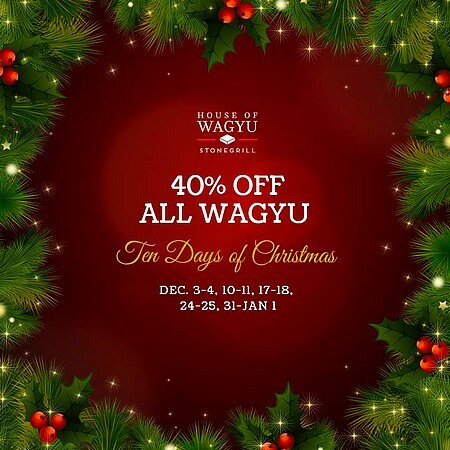 Enjoy 40% off on all kinds of wagyu beef at HOUSE of WAGYU on all Saturdays and Sundays of December! Time to get stuffed this Christmas! See a list of HOUSE of WAGYU branches. For more information, log on to HOUSE of WAGYU's Facebook page. 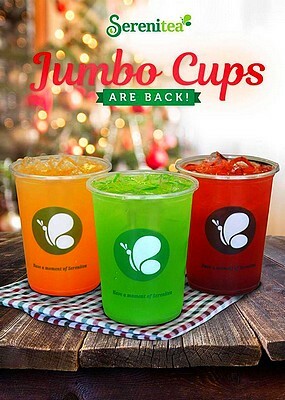 Celebrate with Serenitea's eighth anniversary treat with a free upsize to Jumbo Cup on selected large drinks. Offer is available nationwide from December 19 to 21. Cheers to the holidays! See a list of Serenitea branches. For more information, log on to Serenitea's Facebook page.